There are a lot of recipes for cod fish cakes, some better than others. I have tried a few made with potatoes that I like, but my grandmother used to make cod fish cakes with yuca, and they are definately my favorites ones. They have great texture and a wonderful taste. This is the recipe for my grandmother’s Cod Fish and Yuca Cakes. Enjoy! In a small skillet over low heat, melt the butter. Add the green onions and garlic. Cook for 2 minutes. In a medium bowl, place the flaked fish, mashed yuca, cooked onions and garlic, bread crumbs, cilantro,mustard, cumin, red pepper flakes, salt and pepper and mix well. In a separated bowl, whisk together the cream and eggs until well blended. Add to the fish mixture and mix well. Form the mixture into round cakes. In a large saute pan over medium-high heat fry the cakes in the oil, turning once, until lightly browned, about 3 minutes per side. Serve with lime wedges on the side. I could just stare at these cod cakes but would prefer to eat them! Thanks for the link back to your yuca post – I’ve seen the raw root but will be on the lookout for the frozen one since you note that it may be easier to cook/come out more tender. U know what..In My place,back in India.. Boiled yucca and fish curry is a great combo.. These look perfect — golden and crispy on the outside and soft and creamy inside! 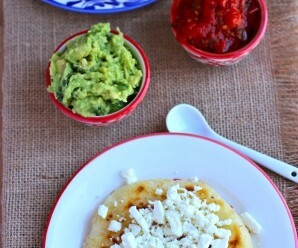 I’ll have to try these with yuca! Faith- Thank you so much for your comment! 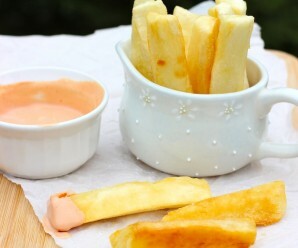 Try them with yuca….. they are wonderful. I have never been a fan of fish cakes, but yours look golden, crispy, and delicious. Looks delicious, love yuca and cod fish, can I use bacalao or just the fresh cod? Sandra- I used fresh cod. These look so good, I am tempted to try them even without the yucca. Impossible for me to get it here but still all the other flavours just seem to blend in so well! I haven’t had the opportunity to try yuca yet, but I would really love to find some locally. These cakes look so crispy on the outside, yet creamy and delicious on the inside. These look wonderful. I’ve never tried yuca before, but it seems right up my alley…and if I can put it with fish and cilantro, there’s absolutely nothing not to like! These look beautiful! I’ve used yucca when I made salmon cakes before and I really like it. Your recipe sounds wonderful and I am definitly going to make it! Now this is something I could wrap my mind, and my lips around! These are THE BEST sounding fish cakes EVER! I will make them soon. Thanks for the recipe and thank you for visiting my blog. The fish cakes you made look so crispy and yummy! Fish cakes using cassava, ……. Cassava is used back home in maldives too but as a desert first time seeing it used for savory dish. Whoa. I just realized how long its been since I’ve had yucca. Definitely need to change that. I love the sound of these fish cakes! Way better than any I’ve ever seen so far. Carmen- Tengo otra receta de torticas de atun que voy a publicar la otra semana. Pero puedes hacer estas con atun tambien. 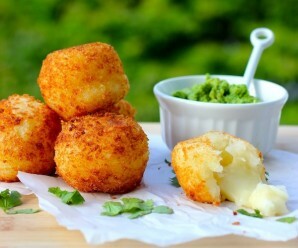 Scrumptious cakes – the combo of cod and yuca sounds fantastic! I love cod but yuka is out of the question as it is not found here in Greece. May try this with potatoes. Yummy! 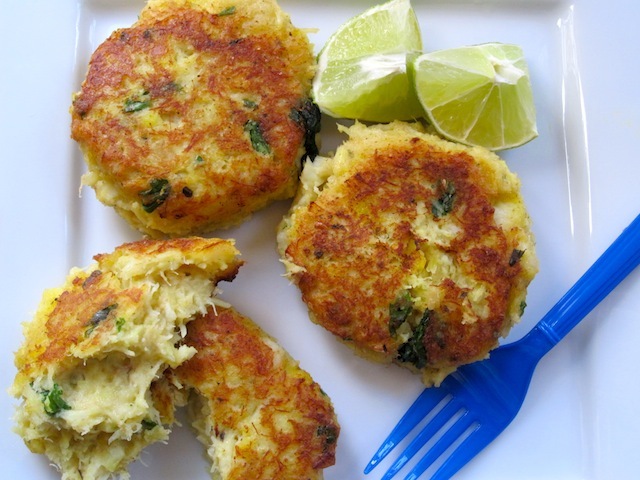 I have never thought to combine cod with yucca to create such a delicious fish cake but I am certain to make these! Thank you for sharing. Ooh! These look just like the ones my parents used to make. I can just imagine right now how they must taste. I think they used salted cod – there was always a fair amount of that in the house. I made these tonight for dinner and they were a hit! I’m paleo so I subbed the heavy cream for full-fat coconut milk, the bread crumbs for almond flour, and used fresh poached trout instead of cod since that was all I had. Even my fish-hating father loved them! 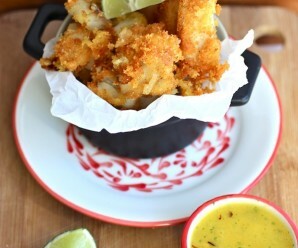 The yucca makes them crispy on the inside yet still soft, creamy, and delicious on the inside. This is will be my go-to fish cake recipe from now on. Muchas gracias Erica, la receta estuvo deliciosa! This may sound nuts but can I substitute heavy cream with sour cream. I am trying to cut down on cholesterol big time. how did you cook your cod to prepare it for this dish?